Tonight, or rather, early tomorrow morning, Apple will be taking the curtains off its next generation iPhone(s). Rumors have it that the Cupertino company will not only unveil one iPhone, it will also introduce a “budget” version that is said to be a replacement of the iPhone 4S as the most affordable iPhone. The event is scheduled for 1PM in the States, so that’s 1AM our time. Follow us on Facebook and Twitter to catch our live updates and meanwhile, hit the break for a rumor roundup of the iPhone 5S and iPhone 5C. Anyone staying up to catch the event? Apple will introduce the next generation iPhone called the iPhone 5S and as the name implies, it will only pack several improvements to the current iPhone 5 in terms of specifications, while the design will look pretty much the same. 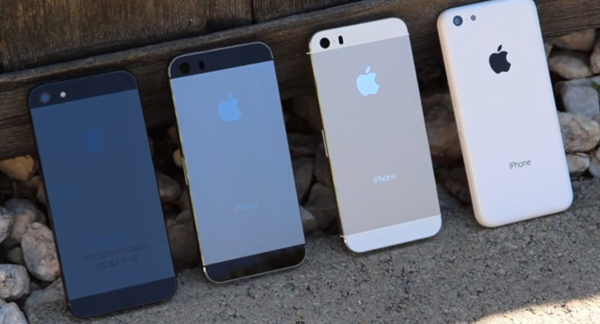 Apple is said to add in as many as two new color variants – champagne gold and gunmetal gray. According to several leaks, the iPhone 5S will run on a new A7 chip that performs about 31% faster than current A6 chip. This sounds too good to be true, but rumors has it that it could be a 64-bit one too, to help with all the animations and graphical effects of iOS 7. Perhaps the biggest change would be a fingerprint scanner that will be located on the home button. Just hours ago, Nowhereelse.fr received from a “very reliable source” of an iPhone 5S render that has a “Touch ID Sensor” on the home button. In late July, it was spotted on iOS 7’s source code something that relates to a fingerprint scanner that allows users to access the device. According to a leak we shared earlier this morning, the iPhone 5S will come with the same 8MP rear camera but it will have a dual LED flash light instead of a single one found on the iPhone 5. I have to admit I’m slightly disappointed that Apple will not be using a 13MP rear camera, but hey, I guess 8MP will equal to a smaller file size and using up less storage space is always good news. The camera will also have a larger aperture of F2.0, hopefully enhancing it’s low light performance. 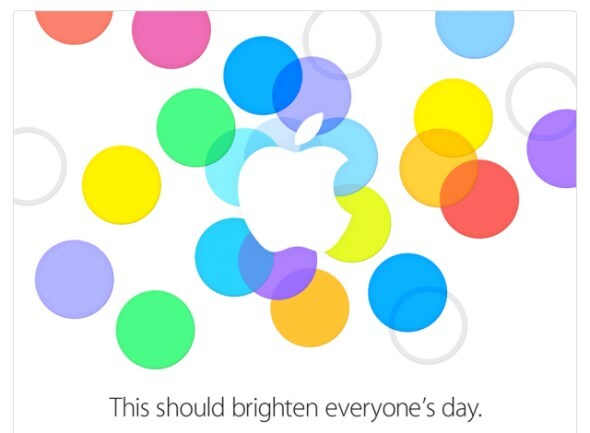 Another exciting thing to look forward to tonight would definitely have to be the iPhone 5C. Now I know that there are nothing exciting about plastic, but it’s interesting to see Apple finally making something for the lower-end market. 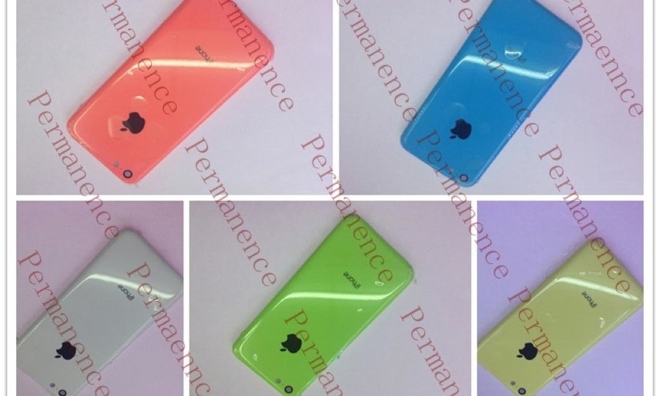 Design wise, the iPhone 5C looks like a cross between an iPhone 3GS (the choice of material) and an iPod touch. 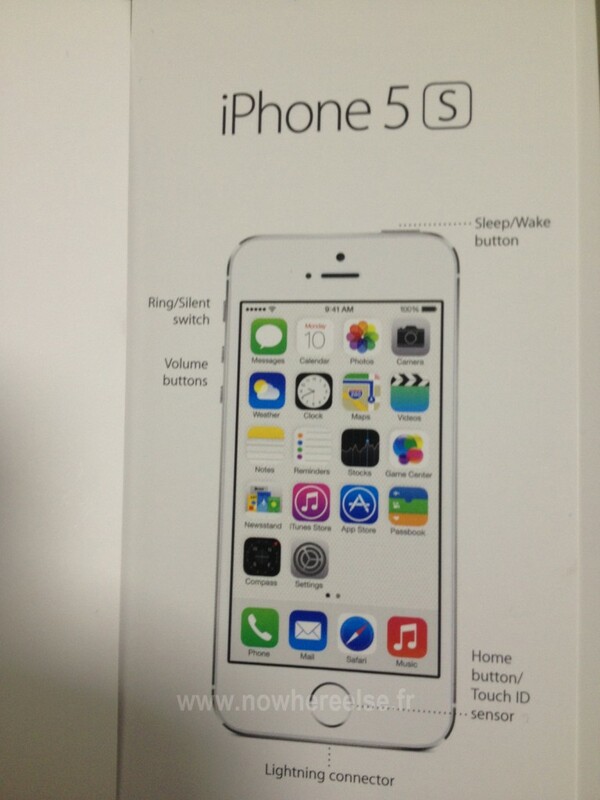 The iPhone 5C will be available in a very bright selection of colors namely white, blue, red, yellow and neon green. Don’t be fooled by Apple’s choice of material to use though, while it may be plastic, it was put through a torture test and it held up pretty well. Of course, no blender or drop test were shown, but according to a Taiwanese website, it received a high 8H on surface hardness test – good enough for your pocket and bag full of coins and keys I guess. On the outside, the iPhone 5C will be slightly thicker than the iPhone 5, giving it a less premium feel when held (I assume). Beneath what looks like the same 4” display, the iPhone 5C will pretty much come with the same components as the iPhone 5 – A6 processor, Nano-SIM, 8MP rear camera, Lightning port, and more.